Today, Harrison and I wandered around the parks that line Turtle Creek. As you drive along Turtle Creek, you’ll see a bunch of gorgeously green and very scenic parks. It seems like every time we drive past these parks, they are empty. 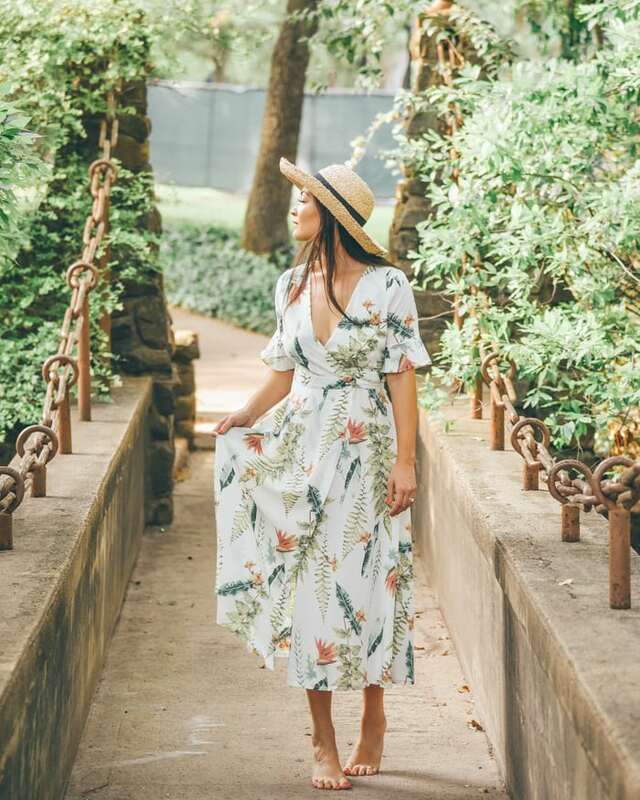 Basically begging us to take a stroll through their lush greenery- so that’s what we did! 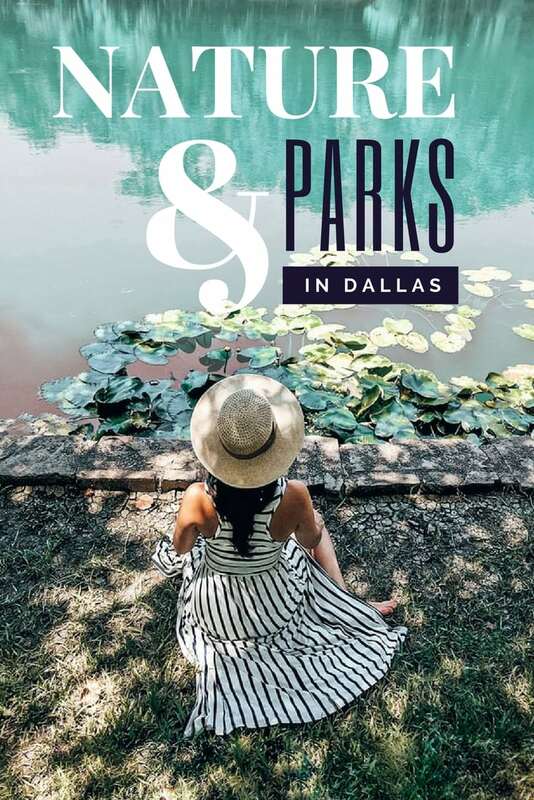 It never occurred to me that one reason why the Park Cities (Highland Park and University Park) are called the Park Cities is the incredible number of parks they feature. Totally unexpected in the heart of Dallas! If you’re looking for a green escape, look no further. 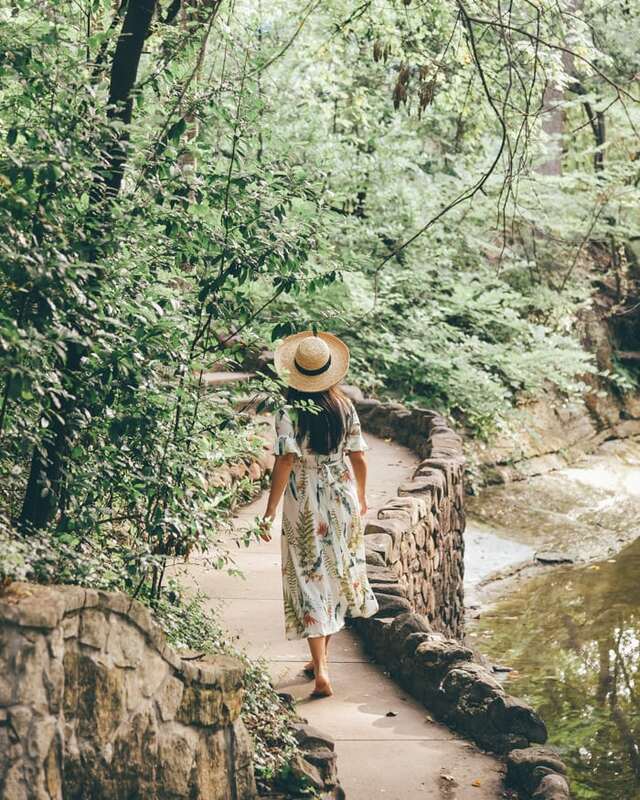 You’ll find stone bridges, stone walkways, regular sidewalks, benches, and great views along Turtle Creek. When you’re there, be sure to take in the beauty of these parks. We saw dozens of blue jays flying around, and a cardinal too. Gorgeous birds and trees live here! Parking is easy along the edge of the parks. Some parks have a playground next to the scenic trails, like the playground next to Davis Park. These parks are pretty small, but there are multiple parks. Don’t expect an extensive jogging trail at these smaller parks along Turtle Creek. The parks along Turtle Creek are completely free to explore! You definitely don’t HAVE to bring anything. Most of the time we just come here for a shady stroll when it’s hot out but we still want to be outside. Your significant other– these parks are dreamy and romantic! There’s no need for athletic clothes, since there isn’t much space to run around. As long as you have comfy walking shoes you’ll be set. Don’t forget your shades or a hat for sunny Texas days as well! 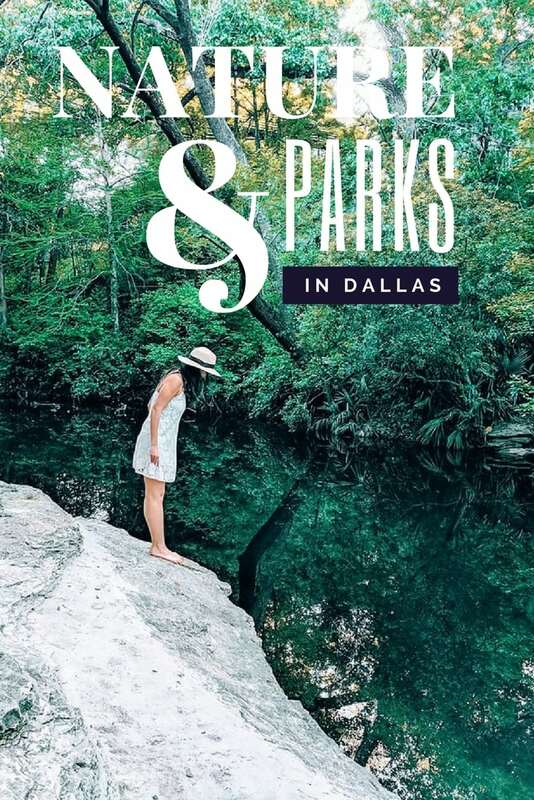 You’ll have fun exploring the beauty of these parks. 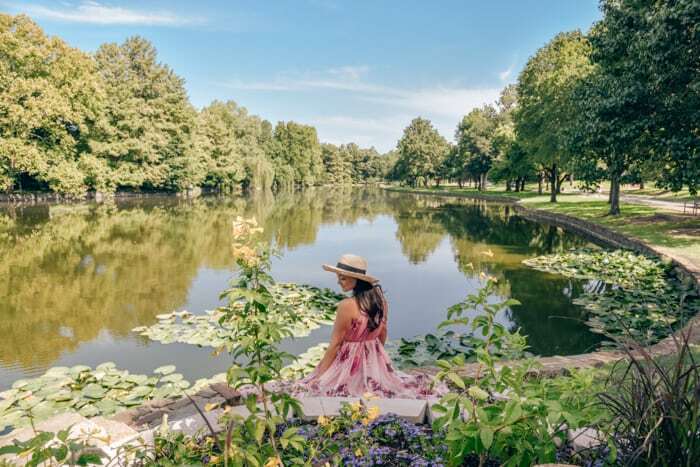 And while you’re in the area, there is a bigger park that is a part of the Turtle Creek parks called Lakeside Park– you’ll see a lot more people there and for good reason- it’s absolutely gorgeous! Read more about Lakeside Park here. I mean, check out this beauty! Let me know your favorite thing about these parks in the comments section below! Save this post for later by saving it to Pinterest! You can save it using the image below! I would love to visit this area of the park with my family. Can you give me a cross street to get to this area. I cannot walk too far. 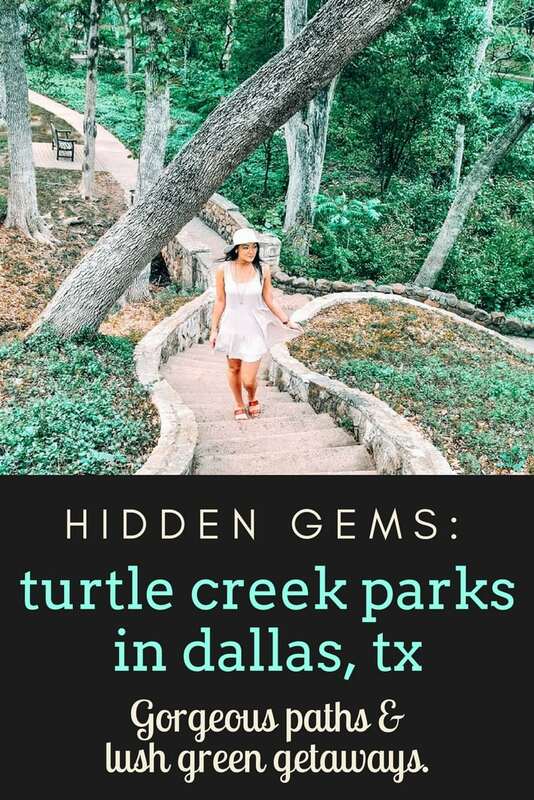 I would love to visit this area of Turtle Creek, but I cannot walk far. Can you give me more specific information on how to get to the are with the stairs in your photo? Thank you. Hi Jan! This is Davis Park, and I believe we parked on Drexel Drive or somewhere near the Highland Drive/Drexel Drive intersection to get to those steps. I hope that helps!